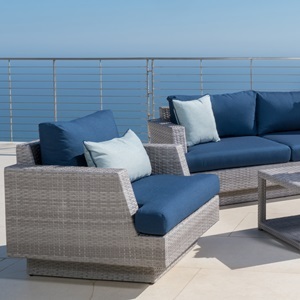 The Portofino Comfort 88-inch sofa provides a great focal point for your outdoor living area. With comfortable seating for up to four adults, you can entertain both family and friends. 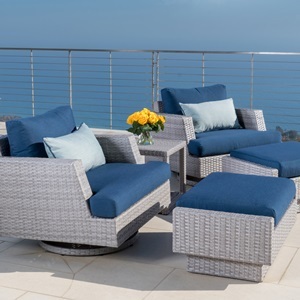 Two matching ottomans provides extra seating or a place to rest your feet. 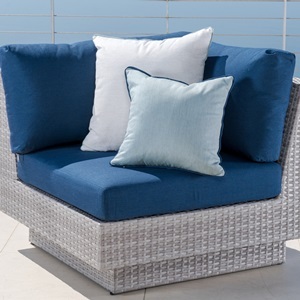 Set includes an 88-inch sofa with cushions, four coordinated accent pillows, and two matching ottomans. 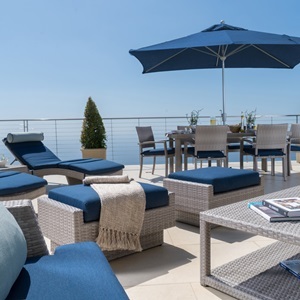 Luxurious 6-inch thick cushions are wrapped in Sunbrella® fabric. UV, weather, and color-fade resistant.